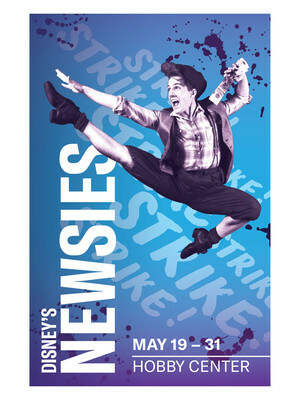 Theater Under The Stars continues their stellar 51st season programming with Disney's Broadway blockbuster Newsies, coming to the Hobby Center in the spring of 2020! Based on the 1992 feature film, the song and dance spectacular garnered two Tonys during its 1000-show stint on Broadway before becoming a smash-hit touring production across the country thanks to Alan Menken's award-winning score, Harvey Fierstein's witty book and heartwarming story about brotherhood, class systems and fighting the powers at be for truth and fairness. 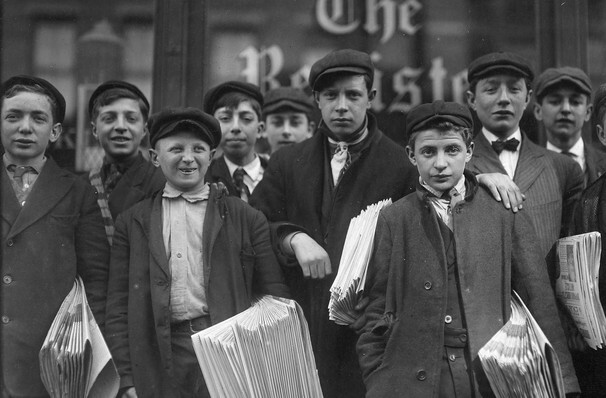 Set in turn-of-the-century New York City, Newsies chronicles the real events of the Newsboy's Strike of 1899. A gang of kids who sell newspapers on the streets, the Newsies are lead by the independent, surly yet charismatic Jack Kelly, a youngster who dreams of making a better life for himself out West. When titans of the publishing industry Joseph Pulitzer and William Randolph Hearst raise distribution prices at the expense of the newsboys, Jack finds a new cause to fight for, rallying his brothers across the city to stand up and fight for what's right. Seen Disneys Newsies? Loved it? Hated it? Sound good to you? Share this page on social media and let your friends know about Disneys Newsies at Sarofim Hall. Please note: The term Sarofim Hall and/or Disneys Newsies as well as all associated graphics, logos, and/or other trademarks, tradenames or copyrights are the property of the Sarofim Hall and/or Disneys Newsies and are used herein for factual descriptive purposes only. We are in no way associated with or authorized by the Sarofim Hall and/or Disneys Newsies and neither that entity nor any of its affiliates have licensed or endorsed us to sell tickets, goods and or services in conjunction with their events.